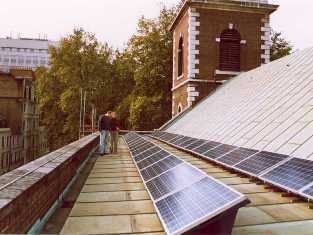 At St James we have installed a Photo Voltaic stystem on the roof to generate electricity. This website will be a publicity and educational tool, to promote the idea of churches getting involved in green energy and other projects. 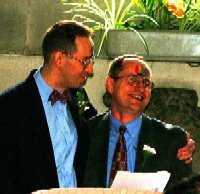 In June 2001 David and I held a Blessing and Covenant Ceremony at St James's Church Piccadilly. It was a wonderful day for us - and here are the details to prove it. Texts by and about Edward Carpenter - one of my favourite writers. Some of my favourite pictures and memories from the past thirty years. Canoe Trips with a difference - suggestions for when the rivers are low, or for when you want something unusual.